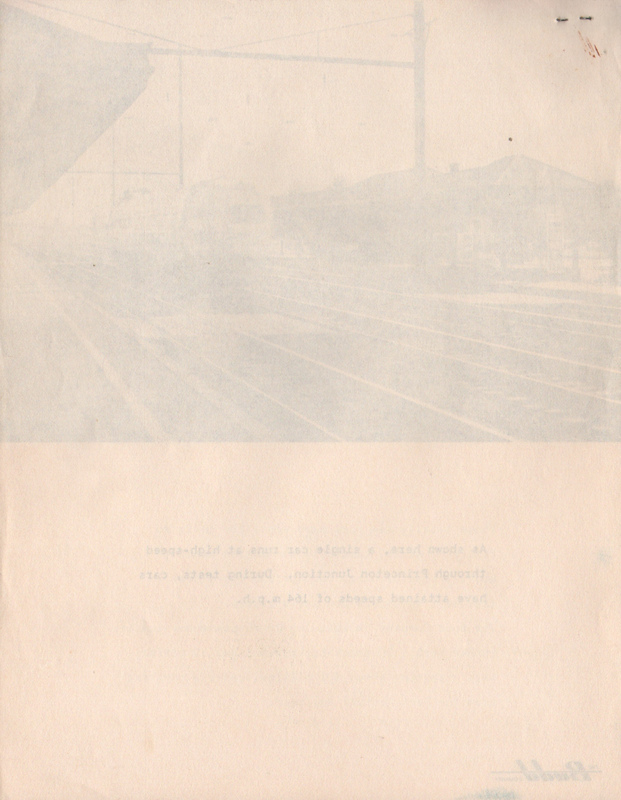 Description An interesting brochure/press or media kit issued by The Budd Company, Penn Central Railroad and the U.S. Dept. of Transportation entitled "The Budd Company salutes the Penn Central with the new METROLINERS for Washington-New York Service, Cooperating for better rail transportation, U.S. Dept. 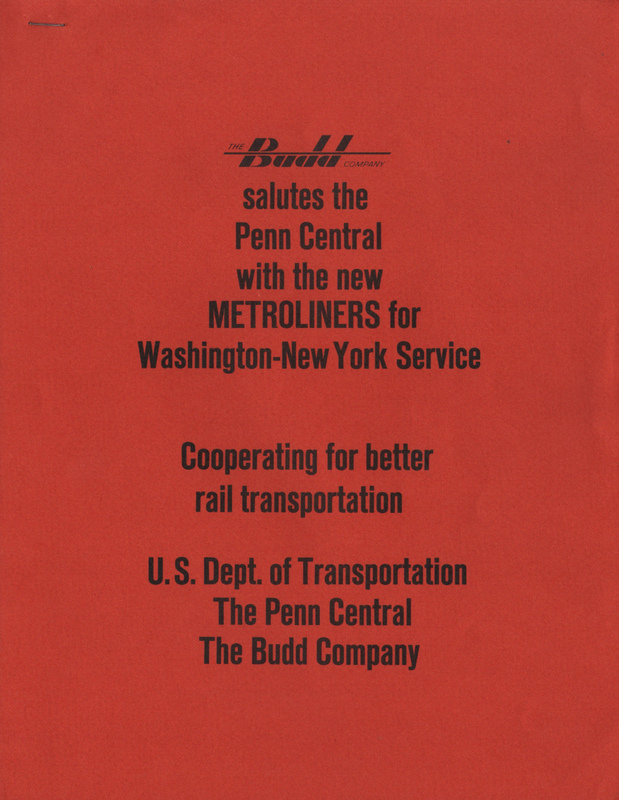 of Transportation, The Penn Central, The Budd Company." Nine pages of background, technical specifications and photos are included. A good read on the history behind the Metroliners.